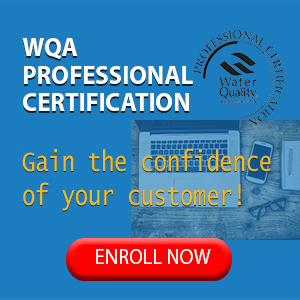 The water treatment industry basically identifies two areas of residential water usage: point of entry (POE), the treatment of all water entering the building and point of use (POU), treatment of water at a single tap or outlet. 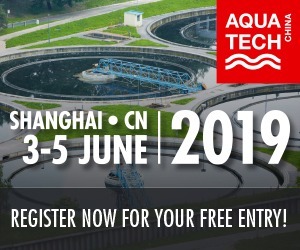 There are a multitude of water treatment technologies available to effectively reduce the concentration of virtually any contaminant, whether health related or aesthetic; however, different technologies are optimum for different classes of contaminants. As a result, no single treatment technology is the ’magic bullet’. As consumers understand more about water quality issues, this knowledge usually manifests itself in aesthetics, such as taste, odor or appearance, which are often erroneously equated with health-related contaminations. The bottom line is that consumers want both good tasting and safe water, regardless of its source. It is important to realize that it is impossible to remove all of any contaminant from a water supply. The drinking water standards have concentration limits, which US EPA has designated as maximum contaminant levels (MCLs). The optimum treatment technology is that which will sufficiently remove the targeted contaminants at the lowest capital and operating costs. removal technologies for a specific application. Generally, the initial technology in any treatment scheme is filtration, to remove suspended solids in the water supply. Thanks to the relatively recent development of carbon block technology, it is possible to combine sediment filtration with chlorine removal. Because chlorine represents both an aesthetic and health-related contaminant, it is considered desirable to be removed; however, chlorine is a very effective disinfectant and its presence will keep bacteria levels low. Activated carbon also removes trihalomethanes (THMs) and other organic contaminants, as well as gases such as hydrogen sulfide. Typically, filtration and activated carbon adsorption are followed by RO to remove salts (ionic contaminants) and high molecular weight organic compounds. 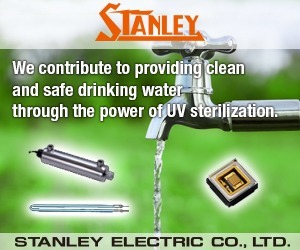 For almost all drinking water applications (including culinary), RO treatment, as the primary technology, is sufficient. Because salts rejection of the membrane is a percentage of what the membrane sees and, as these rejection characteristics are 90-95 percent, the salts concentration in the purified water is usually less than 10 percent of those in the feedwater solution. 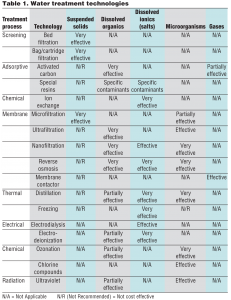 A more complete description of membrane treatment technologies is provided later in this article. The salts concentration in water supplies is normally expressed as total dissolved solids (TDS) and the concentration is expressed as milligrams per liter (mg/L) or parts per million (ppm). These units are the same; in other words, mg/L =ppm. Some people have a concern that RO-treated water, known as permeate, is too aggressive; that it will dissolve piping materials and, because it is perceived to remove necessary minerals from the body if drunk, that it is dangerous for consumption. These concerns are largely untrue. As stated earlier, the TDS of permeate is typically 10 percent (or more) of that in the feedwater and almost all feedwaters have TDS levels high enough so that the permeate quality is usually above 20 mg/L. As a rule of thumb, water does not become unacceptably aggressive until it reaches a TDS level of 10 or less. In a normal, healthy individual, the body’s esophagus and stomach are very forgiving and contain excess salts which will immediately neutralize the effect of purified water. The latest crisis addressing RO units (and other salts removing technologies) is the result of World Health Organization (WHO) panels and conferences stating that it is necessary for humans to receive calcium and magnesium in their drinking water, due to an apparent shortage of these minerals in normal diets. Although WHO has strongly recommended that either these minerals be left in treated drinking water supplies or that a certain concentration be added back into these supplies, this position is very controversial and not yet resolved. 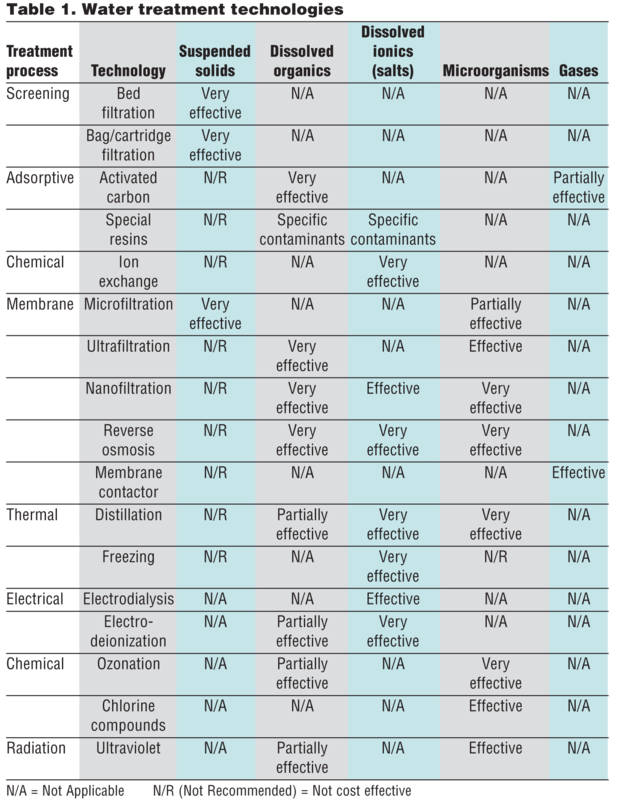 Table 1 illustrates the majority of water treatment technologies available to be utilized in residential POE and POU applications and provides general guidelines regarding their effectiveness. 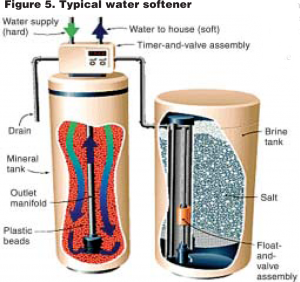 Following is a description of the technologies most commonly utilized for residential water treatment. 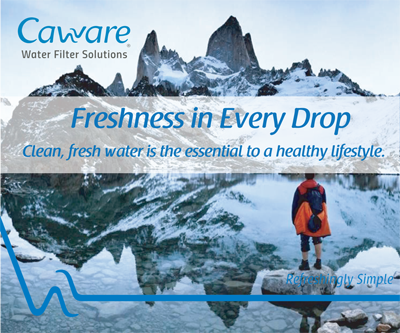 Since before recorded history, humans have employed filtration as a means of improving the appearance and potability of water. Early peoples discovered that sand, charcoal and even porous pottery jars improved the aesthetic appearance (and often the taste) of water containing visible particles, color and perhaps offensive odors. Without completely understanding the science behind their approaches, early ’water engineers’ were utilizing bed filtration as a water treatment technology. Media can be defined as a selected group of materials used in filters and filter devices to form barriers to the passage of certain solids or molecules which are suspended or dissolved in water. Media is a plural form of medium. When the medium is a granular material and is placed in a vessel, it becomes a bed medium. Figure 1 illustrates a multimedia filter, which is a typical bed filter containing several media. Typically, the line pressure in the water coming into the house forces water through the various media from the top of the bed to the bottom and from there into a distribution system, which channels the filtered water out of the filter. As most bed filters are designed to reduce turbidity (the suspended solids in a water supply), the selection of the particular media as well as the design and operation of the filter determine its overall effectiveness. The media are selected either to provide one or several layers of different porosities to segregate suspended solids roughly by particle size or to provide a consistent gradation (coarse to fine) from top to bottom to achieve separation throughout the depth of the filter bed. Filtration media typically includes such naturally occurring material as anthracite or garnet and silica and quartz sand. These materials are crushed and sieved to provide filter grains within a range of sizes. Other important physical characteristics include the shape, surface smoothness and density. When the filter bed accumulates so much turbidity as to affect performance (usually indicated by pressure drop through the filter), it is backwashed by running filtered water backwards through the filter and discharging it. With the appropriate backwash frequency, duration and flow rate, bed filters used for turbidity reduction can easily last five to 10 years. Bed filters can also be used with special media to remove iron, manganese, chlorine and dissolved organic compounds. Figure 2 illustrates a typical cartridge filter. 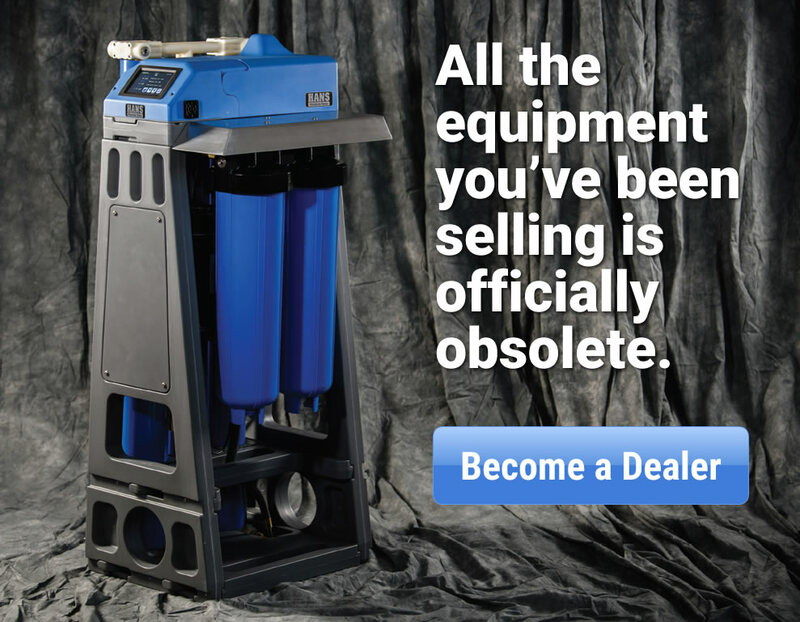 These filters are designed to primarily remove suspended solids through a fixed medium and are intended to be disposable: once the pressure drop reaches a certain level (e.g., 10 psi) the cartridges must be replaced. 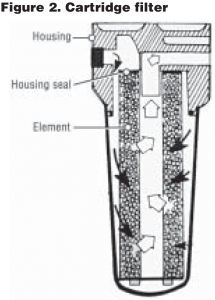 Contaminant removal by a filter cartridge is accomplished by one of two mechanisms, surface filtration or depth filtration. Surface filtration largely involves a sieving process in that particles which are too big to pass through the opening (pores) are simply retained on the surface of the filter. Depth filtration utilizes a more porous medium, which contains non-uniform openings, that do not extend straight through the medium. This ’tortuous path’ and the fact that these pores are not the same diameter throughout the depth of the medium, results in entrapment of the particles within the body of the cartridge. Another phenomenon known as ’adsorption’ contributes to the entrapment of particles by utilizing chemical attraction forces which result in particles adhering to the medium inside the pores. In reality, virtually no filter is either a pure surface or depth filter, in that the membranes of surface filters have a finite thickness in which some depth filtration can occur and depth filters also retain some particulate matter on their surfaces. Surface filters are generally manufactured by laminating or casting a thin membrane coating on a backing (substrate) material. The coating is produced with pores tailored to meet the specifications of the filter cartridge manufacturer. Depth filters are produced through a number of manufacturing techniques. Probably the oldest is string-wound, which involves winding a length of string or yarn around a porous core to produce cartridges with the desired properties. Melt-blown cartridges are produced by extruding polymeric fibers onto a core. Felt-type cartridges are produced by winding or otherwise adhering layers of felt to a core. There are many products utilizing more than one of these technologies to produce hybrid designs. An important characteristic of filter cartridges is their contaminant removal rating, usually expressed in microns. The industry has generally settled on two removal categories: nominal and absolute. Unfortunately, there is little or no agreement among manufacturers and industry users as to the definitions of these terms. For example, the National Fluid Power Association (NFPA) defines nominal as: “an arbitrary micron value assigned by the filter manufacturer, based on the weight removal of a percentage of all particles of a given size or larger. 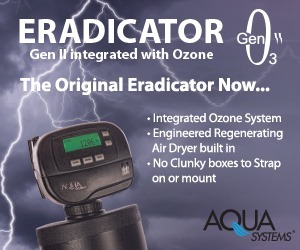 It is rarely defined and not reproducable.” On the other hand, the Water Quality Association (WQA), in their Glossary of Terms, defines nominal filter rating as: “generally interpreted as meaning that 85 percent of the particles of the size equal to the nominal filter rating will be retained by the filter.” What this means is that when a manufacturer claims to have five-micron filter cartridges (for example), unless he defines what he means by this value (such as the percentage removal of particles five microns and larger), it is basically meaningless, as there is no universally accepted standard. The NFPA defines an absolute filter rating as: “the diameter of the largest hard spherical particle that will pass through a filter under specified test conditions. 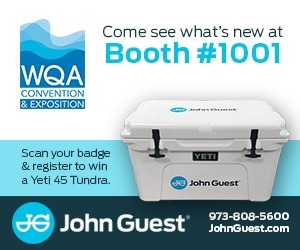 It is an indication of the largest opening in the filter cartridge.” The WQA defines absolute as meaning: “99.9 percent of all particles larger than the rated size will not pass though the filter cartridge.” Unfortunately, there is also a lack of agreement among manufacturers, users and industry trade groups on the definition of absolute filter ratings, although most agree on removals above 99 percent. Not all filter cartridges are designed to simply remove sediment or particulate material; carbon filters constitute a large family of cartridges primarily designed to remove chlorine and trace organic contaminants from water supplies, primarily through the mechanism of adsorption. Activated carbon is typically manufactured from a carbon source such as coconut husks, nutshells or coal. It is typically processed by heating the carbon at high temperatures in the absence of air, thus significantly increasing the porosity of the carbon and thus its ability to adsorb many gases and organic compounds. In filter cartridges, activated carbon is usually granular, powdered or in a block form. Granular activated carbon (GAC) consists of loose carbon granules contained in a plastic housing that allows water to flow though the carbon from one end of the housing to the other. GAC filters usually exhibit good adsorption of various contaminants, but are not particularly effective at particulate reduction because of the large spaces between the carbon granules. Powdered activated carbon (PAC) cartridges consist of finely ground activated carbon deposited on a fibrous backing material (in sheet or fiber form) and fabricated into a cylinder with a hollow internal core and with molded plastic end caps to ensure proper flow through the cartridge. 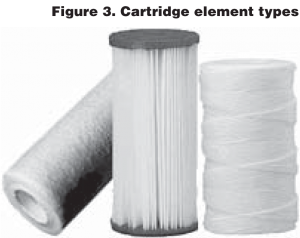 PAC cartridges exhibit filtration properties of the substrate material (typically spun-bonded or melt-blown fibers) combined with the adsorption properties of the carbon. Carbon block cartridges are powdered activated carbon to which a thermoplastic binder has been added. They are then compressed (either by molding or in an extrusion operation) to yield a product with very small pores to effect fine filtration, again with the adsorption properties of activated carbon. Carbon block cartridges are capable of the finest particulate filtration of any of the types of carbon cartridges. Another type of filter cartridge also capable of fine filtration is the ceramic cartridge. It is also a molded product (usually from a clay base) but these products do not have the versatility of the molded carbon blocks, in that they are used almost exclusively for turbidity reduction. 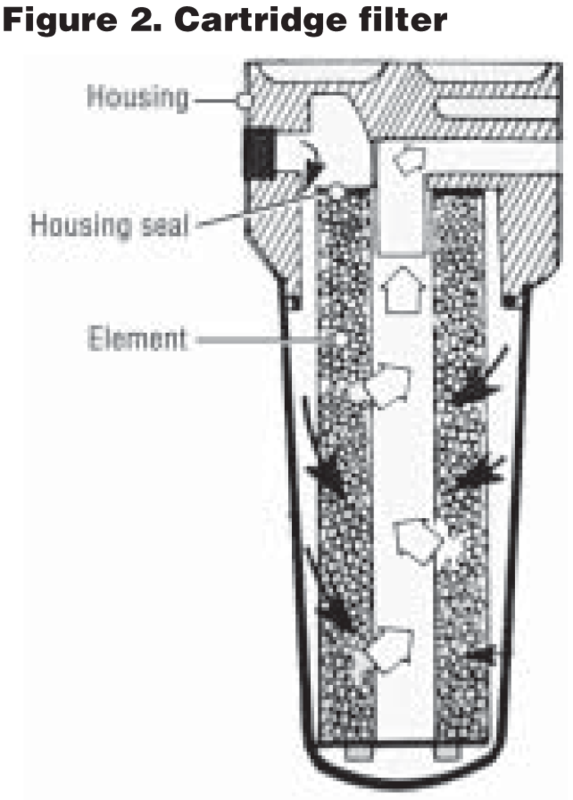 In all cartridge filter systems, a housing is utilized to contain the cartridge, as shown in Figure 2. Figure 3 illustrates a number of filter cartridges. This process is virtually the same as cartridge filtration, except that the filter medium is usually in the form of a bag manufactured from a felt-type filter medium. Bag filters also employ a housing. For filtration requirements in the submicron range, capillary (hollow) fiber filtration is employed. By definition, capillary fiber elements are comprised entirely of the filtration medium itself (no backing material). The fibers’ outside diameters (ODs) range from about one to two millimeters (mm), with inside diameters (IDs) in the 0.5 to 1.8 mm range. The flow path can be either outside-in or insideout (lumen feed); however, for most applications, the outside-in flow is favored, to minimize fouling. Operating pressures required for MF are up to 30 psi (two bar), while UF pressures are in the range of 20 to 100 psi (1.4 to 6.8 bar). Materials of construction for these technologies include polymers (polysulfone [PS/PES], PVDF, polypropylene, polyacrylonitrile [PAN, cellulosics, PTFE and others]), ceramics (oxides of aluminum, titanium and zirconium) and metallics (stainless steel [SS] and coated SS). A particularly significant characteristic of the capillary fiber configuration is that almost all of these devices can be backwashed (running the permeate [filtrate] backwards through the device to dislodge fouling materials that accumulate on the membrane surface). This characteristic alone makes capillary fiber elements vastly superior to spiral wound configurations. With one exception, spirals cannot be backwashed without destroying them. 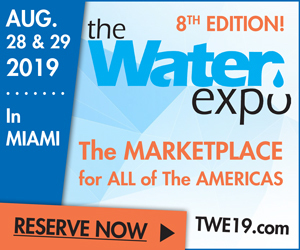 The utilization of MF and UF capillary fiber technologies for drinking water treatment took a giant leap forward about 10 years ago with the promulgation of a number of ongoing amendments to the Safe Drinking Water Act (SDWA). Specifically, the Long Term 2 Enhanced Surface Water Treatment Rule is the direct result of the 1993 Milwaukee, Wis. outbreak of Cryptosporidiosis. The protozoan oocyst of Cryptosporidium parvum is not inactivated by normal chlorine disinfection protocol and in this outbreak, contaminated the drinking water supply, infecting about 400,000 people and causing 104 deaths. As a result, the US EPA embarked on an extensive investigation of this contaminant and has established MF as one of the most practical technologies for removal of the oocyst. In addition, the Stage 2 Disinfection Byproducts Rule addresses those water sources that contain high concentrations of dissolved organics which may react with chlorine to form THMs, which are suspected carcinogens. 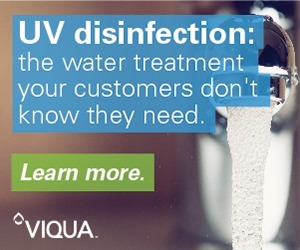 UF will reduce many of these disinfection byproduct precursors (DBPPs). 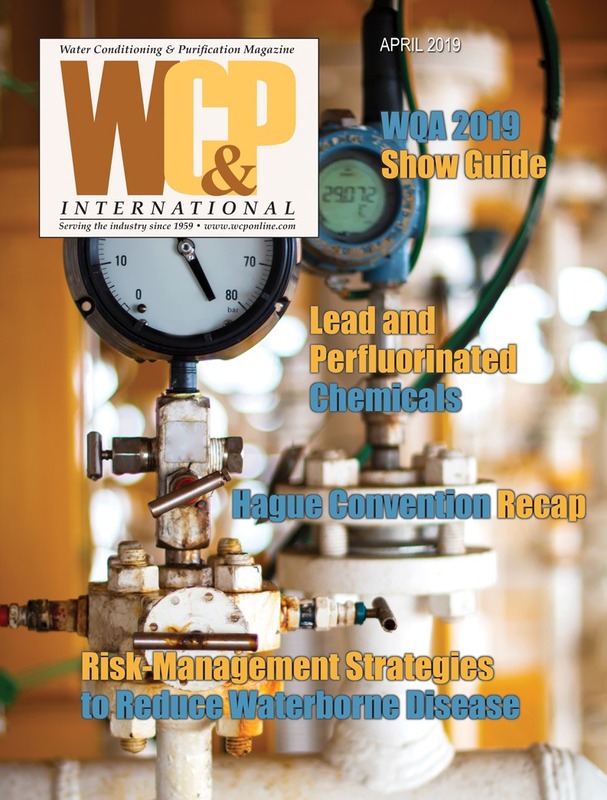 It appears inevitable that over the next several years, virtually all US drinking water plants which use surface water as their raw water source will incorporate MF or UF as their primary treatment technology. As an outcome of this new opportunity, many manufacturers have entered the fray, with no less than seven currently offering capillary fiber membrane elements/systems into this particular market. Many of the element manufacturers offer a number of elements, varying in pore size, fiber diameters, etc. 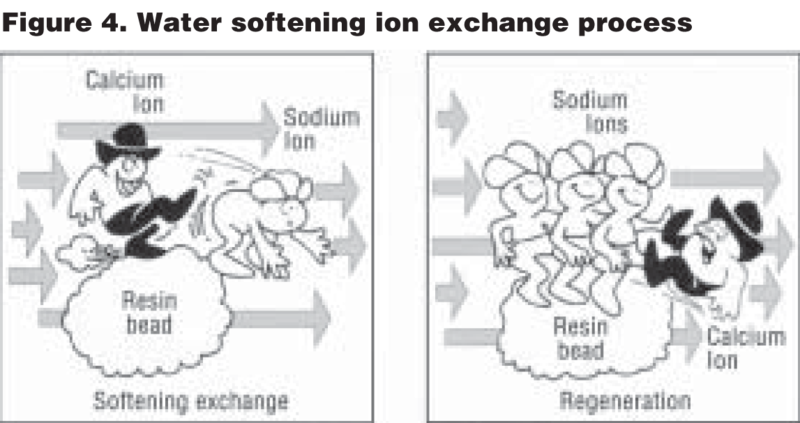 Virtually the only ion exchange technology used in residential applications is sodium ion exchange or water softening. 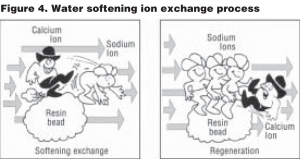 This POE technology specifically removes hardness ions by replacing the sodium ions adsorbed on the ion exchange resin with calcium and magnesium ions in the water supply. The sodium ions are then released into the softened water. Water softeners work on a demand basis, in that the flow rate through the unit can range from very low up to the maximum for which the unit is designed, usually about 10 gpm (37.8 L/m). When the resin has adsorbed as much hardness as it can accommodate, it must be regenerated by soaking in a sodium chloride brine solution which chemically strips the calcium and magnesium ions off the resin and replaces them with sodium ions, as before. Figure 4 illustrates this process. While not actually a drinking water treatment technology, softening, because it minimizes the scaling of hardness ions (calcium and magnesium), both effectively pretreats the water to protect downstream processes and provides many aesthetic benefits. 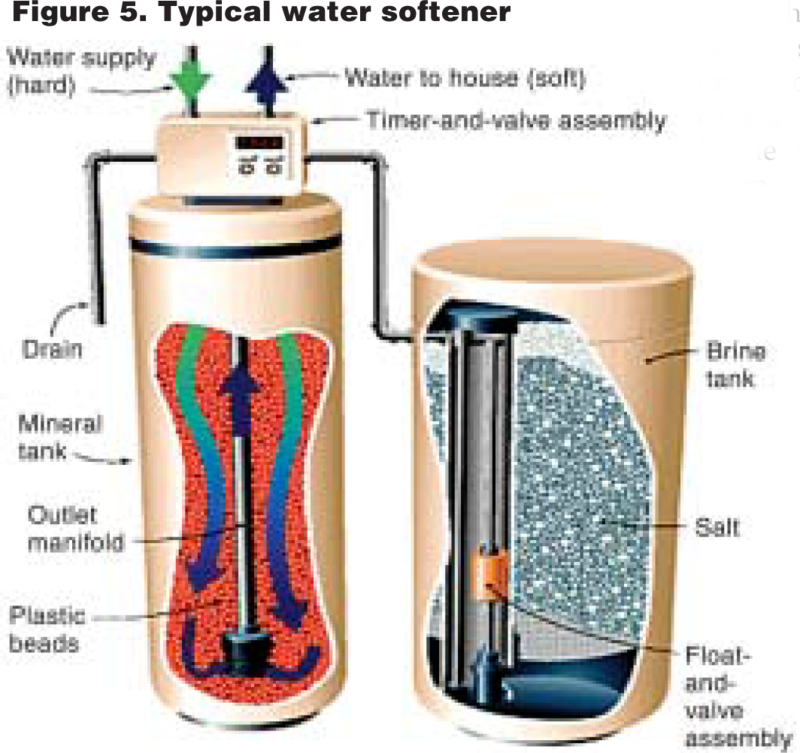 Figure 5 illustrates a water softening unit. Watch for Part 2 of this aritcle in an upcoming issue. Peter S. Cartwright, President of Cartwright Consulting Co., Minneapolis, is a registered Professional Engineer in Minnesota. 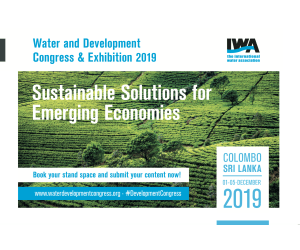 He has been in the water treatment industry since 1974, has authored almost 100 articles, presented over 125 lectures in conferences around the world and has been awarded three patents. Cartwright has chaired several WQA committees and task forces and has received the organization’s Award of Merit. 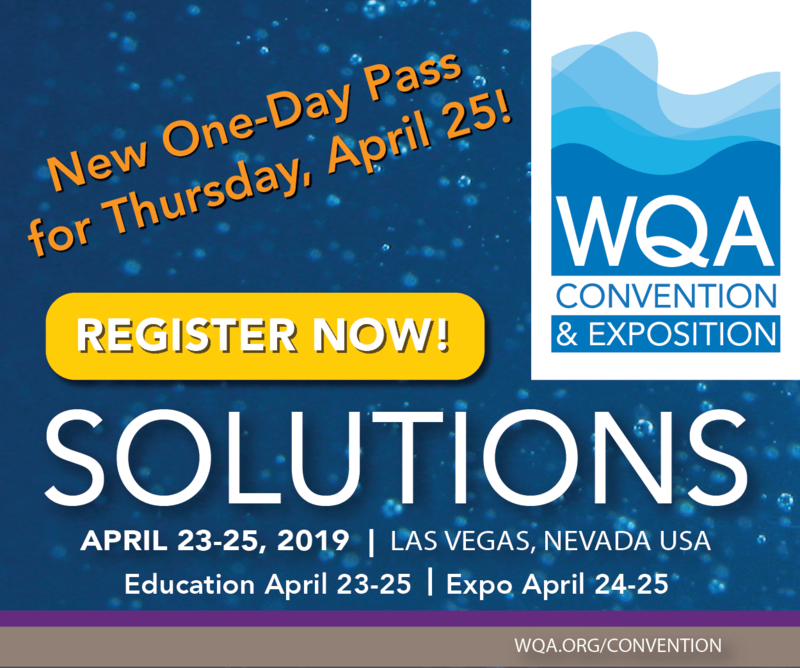 A member of the WC&P Technical Review Committee since 1996, his expertise includes such high technology separation processes as RO, UF, MF, UF electrodialysis, deionization, carbon adsorption, ozonation and distillation. Cartwright is also Technical Consultant to the Canadian Water Quality Association. He can be reached at (952) 854-4911; fax (952) 854-6964; email: pscartwright@msn.com or website: www.cartwright-consulting.com.